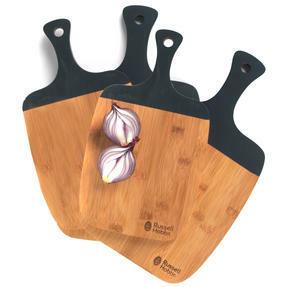 Made from naturally strong bamboo, these Russell Hobbs chopping boards have a lovely modern style with sleek black handles. A set of four, the smaller ones measuring 33 cm and the larger 38 cm including the handles, the boards are designed to make them easy to carry around the kitchen. 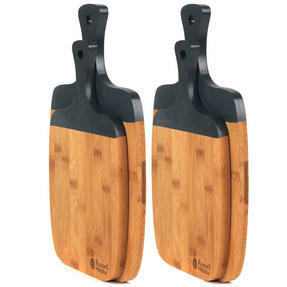 The strength of the bamboo makes the boards ideal for everyday food preparation and you can use them to serve cheeses when you have guests. 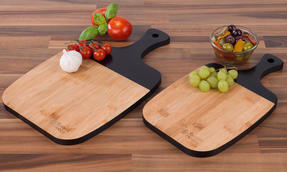 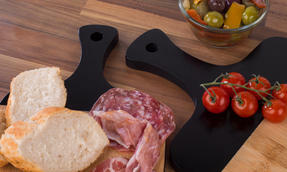 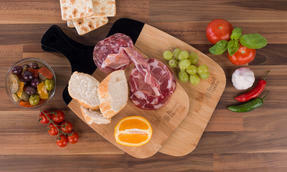 These trendy and practical boards are a lovely addition to any kitchen. 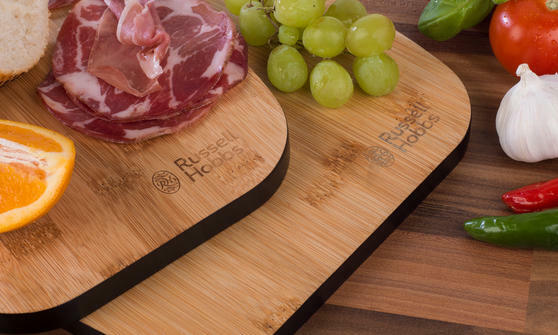 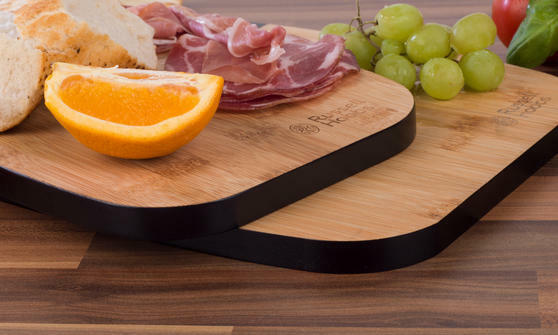 Made using natural and sustainable bamboo which is incredibly strong these chopping boards from Russell Hobbs are built to last. Ideal for any busy home cook, the boards come in a set of four measuring 33 cm and 38 cm giving you plenty of space for preparing meals. 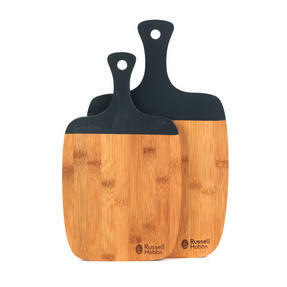 Stylish as well as practical the boards have sleek black handles which contrast the bamboo beautifully, perfect for a modern kitchen. Using multiple chopping boards is a great way to prevent cross contamination, allowing you to use separate boards for meats and vegetables.